Jane is a frequent speaker at conferences and meetings. She is represented by the Executive Speakers Bureau and Speakers Express, part of the American Hospital Association’s Health Forum. This section of the website provides updates on where Jane will be speaking and attending conferences and meetings. It will be a real treat to interview Dr. Toby Cosgrove on the big stage at the 2019 annual meeting of the American Telemedicine Association. Dr. Cosgrove was formerly CEO of the Cleveland Clinic and continues to be a force for innovation in health care. Jane is addressing the 2019 American Telemedicine Association meeting today on retail health's potential to transform the future of healthcare. Jane will brainstorm the patient-as-payer with VisitPay's provider clients during Becker's meeting in Chicago. More consumers are taking on DIY self-care tasks to stay well and lower medical costs. Jane will address these trends and their implications for the attendees of the Consumer Healthcare Products Association Annual Conference in Boca Raton, FL. Jane will address WebMD's Vision 20/20 stakeholder community on the growing retail health ecosystem and the critical role of and opportunity for vision care for consumers. We'll also be discussing the growing role of data empowering health consumers with folks from Mad*Pow, Klick Health, UnitedHealthcare, Satisfi Labs, and Advent Health's Nicholson Center. Jane will profile consumers' approaches to beauty, health and technology at CosmoProf, the annual global convention of the cosmetics industry meeting in Bologna, Italy. This international beauty fair attracts over 260,000 attendees and features the world's premier companies serving the health-beauty-wellness continuum. Jane spoke with Brooke Chonko of Cerner on the patient- and consumer-facing innovations at HIMSS....and the importance of person-centered data and social determinants of health to fulfill the promise of technology for the home-as-health-hub. You can hear the beginning of Jane's podcast at the 8:05 minute mark if you want to skip to her segment. Home is a low-cost site for health care and will be our health/care hubs in the not-too-distant future, I explain in this video of a conversation I had with the KB Home Projekt team in Henderson, Nevada, the week of CES 2019. I toured this new build concept home, baked with wellness in every room of the house, envisioned for aging-in-place and social communing. Watch the short video to hear my take on this emerging concept that can help lower medical costs while supporting people where they want to live and age well. I'm looking forward to collaborating with Microsoft on taking part in their annual Health Innovation Awards. This year, we'll be looking at developers in categories to engage patients, empower care teams and employees, optimize clinical operational effectiveness, transform the care continuum, and use artificial intelligence and machine learning. I'm always inspired by the many creative and innovative entries in this competition, who come from all over the world to participate. If you'll be at HIMSS, the premier annual conference on all-things-health-IT, let's meet up as I dive into new applications and implications for health consumers, patients, caregivers, and providers at Orlando's convention center. 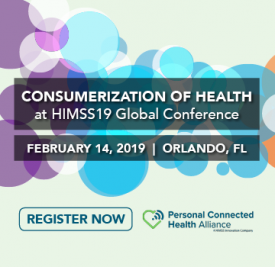 Jane will be part of a panel on consumerization of digital health at HIMSS 2019 in Orlando. She'll brainstorm with Greg Orr from Walgreens, Nick Desai of Heal, and Peter Rasmussen from Cleveland Clinic. The healthcare payor landscape is evolving, with public payors cover one-half of healthcare spending in the U.S. Jane will be discussing this transforming and challenging healthcare financing environment with stakeholders from Medecision, HIT innovators in Big Data, analytics, and engagement. Feedspot put Health Populi on its annual list of 100 health blogs to follow in 2019. Thank you, Feedspot friends! Grateful to be part of this carefully-curated list of trusted sites for all-things-health. Patients have morphed into health consumers, so they seek care, convenience, and value in healthcare. That's why giants like Philips and J&J, and new entrants like Great Call and Best Buy, are all designing and positioning to meet that new health consumer's lengthening list of demands. 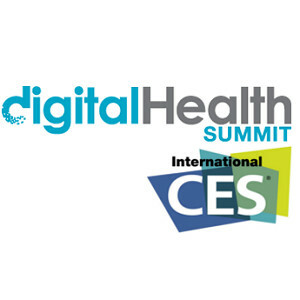 Jane will participate on two panels at the Digital Health Summit in Vegas, baby, on Wednesday 9th January, to brainstorm this fast-evolving phenomenon. Great to be part of one of Healthcare Analytics News' most popular podcasts of 2018. Even more grateful to have collaborated with Colin Hung, Dr. Geeta Nayyar, and John Nosta, with Dr. Kevin Campbell at the helm. We brainstormed (and often arm-wrestled) how healthcare providers must advance digital transformation, challenged by new entrants like Amazon, Apple, Google, Microsoft and a host of smart, hungry developers keen to participate in the dynamic health ecosystem. Link to our discussion on this page. Greg Mathews, founder of the DataPoint podcast, invited Jane on the line to brainstorm the healthcare landscape in the context of Facebook, Google, Amazon and other data aggregators. HINT: HIPAA doesn't cut it, and other themes, discussed on the link. Come listen! Juhan Sonin of Goinvo, a leading health-tech design firm, launched the Open Source Healthcare journal. The first issue includes features by Juhan, Dr. Eric Topol, and Jane. I'm honored and grateful to be part of Juhan's network, and share his vision of Open Source Health/care -- that "we must set healthcare free." In my interview with Larry Dobrow, I discuss a return to "trusted nodes” where scientific fact trumps fake medical news. Larry writes: "[Jane] recalls a recent lunch with the head of Italy’s minister of health. 'There are algorithms in social media in Italy misinforming people about vaccines. So now you’ve got what amounts to the head of Italy’s NIH tweeting pro-vaccine messages, which can’t be a bad thing. In healthcare at least, we still live in a fact-based world.'" Jane will discuss consumers' growing embrace of "mobile first" platforms and how people are engaging in health, nutrition and weight loss via digital and mobile tools at the 9th Annual Obesity Conference in Philadelphia. Jane will be brainstorming food-as-medicine at the GroceryShop conference in Las Vegas. Health Populi was named a top 30 health IT blog by CDW, Thanks, CDW, for this great recognition! Jane will be convening in Bologna, Brussels, London and Dublin with health/care industry stakeholders to advise and speak about health consumers, health policy and food-as-medicine. Stay tuned to Health Populi for updates on learnings and insights gleaned through the journey. Jane will be one of eight judges for the CHXD Commonwealth Design Challenge, vetting solutions to improve — even delight — consumers dealing with healthcare expenses, health savings accounts, and high-deductibles. PwC's Health Research Institute interviewed Jane for research into their report on The New Health Economy in the Age of Disruption. “In a value-based environment, the more pieces of the supply chain that you can influence, the more you can impact utilization and cost, driving a win-win across providers, payers and patients,” I told the PwC team, among other learnings. Jane will be talking about how EIR Healthcare's MedModular hospital room can help bend the healthcare cost curve and exceed health consumers' expectations at the project launch in Boothwyn, PA, the evening of 2nd October 2018. Jane's post on Slow Food and Slow Medicine celebrates her meeting with Walter Ricciardi of Italy's National Institute of Health and Dr. Cesare Galdini, President of the Institute Rizzoli in Bologna, Italy, visiting medical colleagues in Philadelphia. The meeting is hosted by the Consul General of Italy based in Philadelphia. Jane will be brainstorming Healthcare, Everywhere, for hospitals and health systems, with stakeholders meeting at the IHHA's 2018 Leadership Summit being held in greater Chicago. Following their merger, Jane will meet with the Board and key stakeholders of the combined Qualis and HealthInsight organization in San Diego to share insights about new healthcare consumers. Richtopia's list of the top 100 most influential economists is out, naming me one of them once again. I'm humbled to be on a list with the likes of Stiglitz, Porter, Krugman, Frakt, and Sachs, among other mentors and gurus to whom I look for wisdom and knowledge. Healthcare consumers are taking on more self-care tasks, engaging in retail health opportunities. Jane will brainstorm these at the GMDC conference on Health, Beauty and Wellness trends collaborating with suppliers to the industry. Thank you, Feedspot, for naming Health Populi one of the top 100 blogs on the planet! I'm in good company with my dear friends at The Health Care Blog, WEGO Health, NPR Shots, among many other go-to sources for health and wellness. In an article called, "Trump coaxes big promises from big pharma," Jane is quoted on the recent announcements from pharma companies who are reducing certain prescription drug prices through the end of 2018. ‘This is not a policy, this is self-regulation – these are ad hoc agreements that are verbal and can change,’ Jane explained. Check out the in-depth analysis by Rebecca Trager. Jane will meet with leaders from the Kaiser Permanente Los Angeles Medical Center to discuss future healthcare scenarios and the evolving digital, always-on, demanding consumer/patient in the health ecosystem. Join Jane, Accenture's Dr. Kaveh Safavi and Brian Kalis, and Lisa Suennen of GE Ventures, to brainstorm Accenture's 2018 Health-Tech Vision. This will be the third year Jane has worked with this team to identify key trends and futures for digital health, and it's always an engaging, spirited session. Jane will brainstorm the question, "Can Outside Disruption Save Healthcare?" on an expert panel sponsored by Healthcare Analytics News. I am grateful to be doing a keynote at Mad*Pow’s amazing Health Experience Design Conference, sharing my perspectives on the ever-morphing health consumer - sharing new data on the empowered patient and the endangered wallet. Jane will participate in the Aetna Foundation/US News Healthiest Communities Facebook Live meet-up to discuss the role of social determinants of health in our towns and families, live from New York City on Friday 18th May. PwC will re-convene its exciting 180° Health Forum, bringing together innovators, investors, new entrants and thought leaders in health, enabling conversations in an intimate "salon"-style environment. Jane is grateful to be included once again in the mix, to discuss how to leverage digital business models and platforms to build better consumer experiences. Jane will serve as a judge for the Health Value Awards, a competition help during the World Health Care Congress 2018 in Washington DC. The Awards recognize health care purchasers, brokers and suppliers who deliver higher value for the continuum of clinical and financial risk management. Categories for the Awards include lifetime achievers (featuring luminaries like the Leapfrog Group, Warren Buffett, et. al. ), outstanding benefit professionals, employers by size, payers and providers, among others. Digital Health Today named Jane one of 40 top Twitter accounts to follow for digital health. One 20th March 2018, Jane addressed the potential (negative) impact of patient data sharing and trust in light of the revelations about Facebook and Cambridge Analytica's misuse of Americans' personal information. The Society for Participatory Medicine has re-published the essay, to ensure that Society members stay mindful of the news in light of the group's commitment to full-on patient engagement. Jane will be collaborating with Medecision at their client summit in Dallas to brainstorm what's possible for making healthcare better. Peoples' last-best customer experience creates a new benchmark for their expectations. 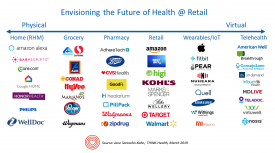 What's happening in retail and ecommerce is expected from the health care industry. Read how health care providers can leverage the enterprise health cloud for putting health into consumers' hands through well-designed apps in my latest paper written for Progress software. For the fifth year in a row, Jane will be one of twenty Social Media Ambassadors at HIMSS annual conference in Las Vegas. Stay tuned to her tweets, LinkedIn updates, Huffington Post column, and daily Health Populi blog updates the week of 5th March 2018. Information technology can support peoples' engagement and empowerment in healthcare. Jane posted a blog on the HIMSS website discussing the prospects for digital health tools and patient activation as part of the upcoming annual #HIMSS18 Conference, bringing together clinicians, payors, providers, innovators and patient advocates in Las Vegas. I brainstormed consumers and healthcare with Saul Marquez, who hosts the Outcomes Rocket podcast, and the recording is now up and ready to hear. Saul and I covered a lot of ground on health care consumerism, digital technology, the healthcare industry, and health policy. Thanks for listening in! SAP gathered insights from various tech-and-health thought leaders for this publication, including Jane's on page 9. Read her thoughts on the non-tech challenges of implementing cloud computing, especially for health/care stakeholders. Health care organizations recognize the importance of net neutrality in connecting health between providers, patients, and researchers. The George Washington School of Nursing picked up Jane's post on net neutrality written in response to the FCC's repeal of the rules. Jane's paper on the opportunity for the enterprise health cloud to enable consumer-pharma engagement is live at the Progress website. Jane will brainstorm digital health and "power to the people" (that is, patients, consumers, and caregivers) with representatives from J&J, Nokia, and Teladoc at the 2018 CES Digital Health Summit. Meet up with Jane at CES in Las Vegas if you're attending. She'll be all-health, all-the-time at this conference, where digital and connected health grows bigger every year. At CES 2018, I'm gratified to be judging the Fitness, Wearables and Health Devices category at Showstoppers. Stay tuned to new-new innovations I think will be empowering, enchanting and useful for health consumers, caregivers, and patients coming out of the show. Thanks, Feedspot, for calling out Health Populi as a Top 100 health care industry blog. Grateful, thankful, and humbled to once again be named a Social Media Ambassador for the upcoming HIMSS 2018 Conference in Las Vegas, 5-8th March 2018. The folks at Home Remedies for Life named Health Populi one of the top blogs "your body wants you to follow." They called us, "a great read for anyone who's looking for an in-depth look and knowledgeable read on healthcare." Thanks, Home Remedies! Setting the context for a discussion on trends in food and eating in 2017, Nation's Best wrote, "Americans have always been fond of food. That’s no secret. But it runs much deeper than that, and there’s evidence to suggest that nearly all Americans are now foodies in at least some capacity. As Jane Sarasohn-Kahn explains in The Huffington Post, US consumers are taking a different approach to how they spend their hard-earned money. Rather than spending it on more “stuff,” they’re spending it on experiences, with food being a top experience-spending category." Check out their summary of trends, including the closing of the historic Carnegie Deli in NYC, Junior's on Instagram, the blurring of breakfast and lunch, the importance of authenticity and provenance for food, and Millennials' major food-spending. Jane will meet with the pharmaceutical and biotech clients of TGaS Advisors to discuss the growing market force of consumers in healthcare and implications for life science companies. I've covered the broad healthcare landscape in my health economics advisory work. One of my earliest papers was The Economics of Treating Tibial Fractures, co-written with Dr. James Heckman of Dartmouth-Hitchcock. The publication celebrates its 20th year since printed in the Bulletin of the Hospital for Joint Surgery in 1997. The work has since been cited in dozens of meta-analyses and research papers since published, more in the past several years as value-based and bundled payment for joint surgery is being adopted. Feedspot named Health Populi a top 100 health blog for healthy living and better healthcare among the best health blogs on the Planet - thank you, Feedspot! Feedspot named Health Populi as one of the top 100 health care blogs "on the planet." We are over the moon! Jane will meet with grocery chain leaders in New York City to share perspectives on consumers seeking health and wellness at the grocery store in the expanding retail health landscape. Jane interviewed David Vivero, CEO of Amino Health, on the main stage at the Health 2.0 Conference on 3rd October 2017. Here's MobiHealthNews coverage of the conversation. Jane will meet, fireside-chat style, with Amino CEO David Vivero, at the 11th annual Health 2.0 conference in Santa Clara, CA. This will be a déjà vu for us as we first met up at Health 2.0 early in Amino's start-up phase on a demo panel! Join Jane on a HIMSS-sponsored webinar on social health information technology and how digital tech can boost the social determinants of health. Jane will have a conversation with Microsoft's Chief Medical Office Dr. Simon Kos at the company's ENVISION meeting in Orlando, speaking about healthcare consumers and technology's role in health engagement. I'm gratified and grateful that Onalytica named me a top digital health influencer, Here's the fun interview we did, exploring who influences me in and beyond health tech - from Dr. Atul Gawande to Pope Francis. The Drug Store News feature on the future of the pharmacy features Jane's perspectives on health consumers taking on greater self-care at home and outside of the traditional healthcare system, supported by retail health -- in this case, the pharmacy and pharmacist who can support a patient managing chronic conditions in an integrated, continuous way. I'm grateful to be recognized once again in the annual #HIT100 list of social influencers in the growing health IT community. HealthTech magazine spotlights what they call "the best of the best of bloggers and trendsetters in the health IT industry," and Health Populi was named one of the 50. Thank you, HealthTech! Jane will attend the AHA's Leadership Summit to be the keynote speaker at the Equity of Health breakfast, addressing the social determinants of health, health disparities, and opportunities to solve the challenge in America's communities. In a live webcast, Jane will lead a panel discussion with Paul Daugherty, chief technology and innovation officer at Accenture, Kaveh Safavi, senior global managing director with Accenture Health, and Lisa Suennen, managing director for GE Ventures. 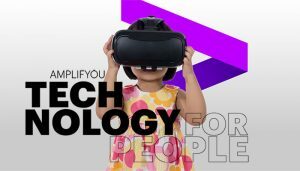 We'll be brainstorming the health/care implications of Accenture's 2017 Digital Health Technology Vision -- Technology for People. Jane will meet with the STRHS management and Board in lovely Captiva Island to discuss the state of health consumerism in America. Jane was ranked one the top influencers in health by Onalytica once again. Jane will share perspectives on new healthcare consumers in the Post-Trump health economy at the Western Operations Conference of Prepaid Medical Service Plans, made up primarily of Blue Cross & Blue Shield plans in the Western US and Canada. 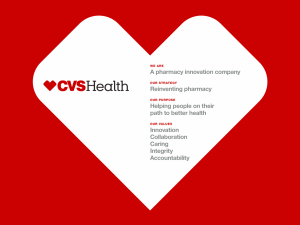 Jane brainstormed healthcare consumers at the CVS Health Innovation Summit, and Drug Store News covered the event. Thanks to DSN and the Mack Elevation Forum for inviting me to speak at this great meet-up with consumer health, wearable tech, social network platforms, and CVS Health team members. Jane will visit with 211 San Diego to explore social care in the county and how this pioneering organization is using IT to integrate dozens of agency touch-points together for the benefit of San Diegans. Jane will brainstorm the new healthcare consumer with Michigan employers, on behalf of Castlight Health/Jiff. Jane is joining the National Advisory Council for the new Center for Health Policy and Media Engagement at GWU, the first meeting of which will be 4-5th May 2017 in Washington DC. The mission of the new Center is to advance policy and health of the public through education, research, media and public forums. Jane will brainstorm health care consumers with health plans and stakeholder clients at the HealthIntegrated EMPOWER meeting in St. Petersburg, FL's, historic Vinoy Renaissance Resort & Golf Club. Jane's Health Populi blog was named one of the top 50 blogs for leading a healthy, meaningful life, by BicomUK. Jane will be researching the role of food as medicine for health in the world capital of Slow Food, Italy, and the growing evidence for food-as-medicine. Along the way, she'll explore the zero kilometre food movement, the Ospedale degli Innocenti hospital, those enterprising nuns who make aroma therapies, and take a few days of Easter and Passover holiday-days along the journey for some spiritual nourishment. Jane spoke about health care consumerism with the trustees and hospital CxOs at the Kansas Hospital Association Critical Issues Summit. Here's a video clip summarizing the discussion. The HIMSS 2017 conference held in February 2017 was like Disneyworld for over 43,000 health IT wonks (like me). Spectrum Enterprises interviewed Colin Hung, Maxwell Stroud, and me for our perspectives on the meet-up. Read what Colin, Max and I said (hint: patients, AI, risk management, and data security rank high). Jane will lead a panel on the end of experts/crowdsourcing wellness at the adidas Future/Fit meet-up during the South-by-Southwest (SXSW) Interactive Festival over the weekend of 10-13 March 2017. Feedspot combed through thousands of health blogs and selected Health Populi among the best of them. Thank you, Feedspot! Jane will participate in the Financial Times' Future of Healthcare Forum in NYC on 28th February 2017 at the Four Seasons Hotel. Jane will meet with attendees at Kansas Hospital Association's Critical Issues Summit in Wichita to discuss the health consumer in America under President Trump's administration. A long-time member of HIMSS, the largest health IT membership organization, Jane will be speaking about consumers and digital health, along with meeting with health IT innovators through the week of 19th February. Administrative waste in American healthcare eats up as much as 30% of U.S. healthcare spending. Join Jane and Raynard Washington, PhD, MPH, Senior Manager of Research & Measurement at CAQH to discuss the latest findings of the Index Report which measures the health industry's migration from paper to digital transactions. Jane was interviewed by NPR station KRCU in Missouri about the growing trend toward consumer DIY healthcare. “There is something big going on here, according to health economist Jane Sarasohn-Kahn. And it’s a lot more than a quick-y cholesterol screening. She calls it DIY – do-it-yourself – health care. Sarasohn-Kahn says we’re at the beginning stages of a big paradigm shift. New business models, phone apps and technologies like Fitbit make it cheap and easy for people to get for themselves much of what they to depend on doctors for. get for themselves much of what they to depend on doctors for." Jane will meet with Louisiana's hospital stakeholders to brainstorm the growing role of consumers in the state's healthcare landscape and opportunities for hospitals and health systems in a post-Trump healthcare environment. Jane will brainstorm the role of new health care consumers -- patients, caregivers, payors -- with the executive team of NHRMC in Wilmington, NC. Jane will share perspectives on the new healthcare consumer in America at CAQH in Washington, DC. Jane will be kicking the tires on all of the new digital health devices and spotting trends and themes through the first week of 2017, spending time with suppliers, experts, and thought leaders on all-things-health. Stay tuned for her tweets @healthythinker, posts on Health Populi, and Huffington Post columns throughout the event. Jane will participate on a panel at the Digital Health Summit at CES 2017 on "Digital Health Delivers Personalized Power to the People" on 6 January 2017. She'll collaborate with Dr. Bettina Experton, the CEO of Humetrix; Dr. David Fabry, the VP of GN Hearing and the ReSound digital hearing device; and, Dr. Shai Gozani, CEO of Neurometrix, making of the Quell pain relief device. The digital health community will convene at the Gaylord Hotel in greater Washington DC to brainstorm innovations for consumers, clinicians, and the health care ecosystem. Jane will participate as a social media contributor and participant. Jane's seminal research paper, The Wisdom of Patients, was cited in the article, Use of social media in education among medical students in Saudi Arabia, in the December 2016 issue of the Korean Journal of Medical Education. In advance of the Connected Health Conference in Washington DC, Jane weighed in on trends in personal connected health as a social media expert. My money quote: "We aren't yet at a tipping point for chronic disease management [via digital health tools]. We're still stuck in 'Fitbit mode' for wellness." Paul Krugman of the New York Times is #1. I'm humbled to have been named #47 of the top 100 influential economists in the world. I'm quite certain that Thomas Piketty (#53) and Robert Shiller (#54) are more influential than I am. But as it's Thanksgiving, I'm grateful for the recognition! Jane will be judging the WEGO Health Hero awards. Health activist members of the WEGO Health community are all heroes: this event identifies some of the most influential, creative and inspirational members across many categories. Jane will participate in a discussion about consumers and the new health economy with a team of other thought "provocateurs," hosted by PwC. Dr. Harm Scherpbier (of Jefferson College of Population Health), Mark Scrimshire (of CMS, the Centers for Medicare and Medicaid Services), Vincent Emanuele (of Wellcentive) and I will be on a panel addressing Population Health Informatics: Connecting Consumers to Care at the AMIA 2016 Annual Symposium in Chicago. The 2017 CES (Consumer Electronics Show) will be previewing new-new things in New York City on 10th November. Jane will be meeting up with the digital health innovators and reporting out from the showroom floor, in Health Populi and The Huffington Post. Jane is quoted in ResMed and Philips Respironics use new tools to boost sleep apnea mask adherence in MedCityNews on the growth of tracking sleep via apps, and the economic benefits of increasing adherence to CPAP use. Jane will meet with members from the Virginia Hospital Association to share perspectives on the new health care consumer and implications for the state's hospitals, at the beautiful Homestead, Hot Springs, VA.
Jane's perspectives on women's role in healthcare is shared on TopLine MD, answering the question: "How can health IT help women reduce healthcare costs and improve the health of families?" Jane is quoted in SHIFT Healthcare's eBook addressing the question, "what will healthcare look like in 2030?" Download the full eBook here on the SHIFT website. Following Jane's talk with the West Virginia Hospital Association on 30 September 2016, Dr. Cynthia Persily, CEO of Highland Hospital in Charleston, WV, wrote her CEO blog post about Jane's healthcare consumerism discussion. For the third year in a row, CDW Healthcare chose Health Populi as one of the top healthcare blogs for 2016. See the complete list at the CDW website. Jane will address the WV Hospital Association on health consumers, digital health, and the growing retail health landscape, at the lovely Greenbrier resort. Jane will meet with Vizient's hospital and health system members from Arkansas, Oklahoma, and Mid-America to brainstorm the growing role of consumers in the new retail health economy. I've participated in the annual Health 2.0 Conference every year since its inception in 2007, and I'll do the same this year. Looking forward to learning about the latest digital health innovations, and moderating a panel or two. Jane's talk with the Minnesota Hospital Association will be "Health Is Everywhere: Consumers and the New Retail Health," meeting at Madden's on Gull Lake, Brainerd, MN. Walmart recently convened a Retail Health Summit in Bentonville, Arkansas, bringing together representatives from the broad landscape of retail health stakeholders. Jane keynoted the event, and her speech is summarized in this special report from Drug Store News. Jane will be addressing CxOs at the Illinois Health and Hospital Association 2016 Leadership Summit in Lombard, IL, discussing The New Health Economy - Consumers at the Center. Hear how clinics at CVS, Walmart, and other retail storefronts are compelling hospitals to re-think business models in the September 7, 2016, issue of Healthcare Finance News, featuring Jeff Lagasse's interview with Jane. Food and exercise are the new medicine; loneliness is the new smoking; prevention is the new sustainability. Read seven pillars re-shaping health and healthcare, informed by my research and advisory work, in this informative supplement from Drug Store News. An article I co-wrote in 1997 with Dr. James Heckman on the economics of using a novel technology to stimulate bone healing was quoted in a research paper published in the journal Nature, Efficacy of Electrical Stimulators for Bone Healing: A Meta-Analysis of Randomized Sham-Controlled Trials. The section quotes, "The socioeconomic burden associated with bone healing complications such as delayed union or nonunion is substantial and includes direct treatment costs as well as personal and societal costs, such as lost wages, decreased productivity and delays returning to work." Jane discussed the importance of and growing pains with patient ratings in health care with healthcare journalist Neil Versel. Jane was interviewed by Drug Store News to talk about the future of primary care delivered in accessible, convenient, lower-cost, high quality settings -- central of which will be the community pharmacy. Read her remarks in this supplement to DSN, Retail Health 2027. 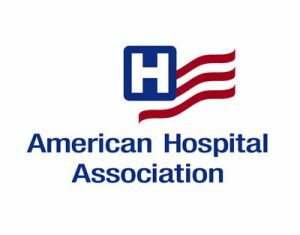 Jane will meet with hospital and health provider leaders from around Texas to discuss health care consumers at the state hospital association's governance conference, being held at the JW Marriott, San Antonio, TX. For the fifth year in a row, Jane was named to the #HIT100 community, a crowdsourced list of health/tech people active in social media. Jane will meet with the clients of Spirit Health Group to brainstorm the growing role of health consumers in the new health economy. Jane will address members and trustees of the North Carolina Hospital Association at the NCHA Summer Membership Meeting, Pinehurst, NC, on the topic of health consumers driving The Triple Aim. Jane will be addressing GHA members and trustees on consumers at the center of the new health economy. Jonah Comstock details the Accenture webcast on 2016 digital health trends, during which Jane joined Dr. Kaveh Safavi to discuss the implications of intelligent automation, a liquid workforce, the platform economy, predictable disruption, and digital trust for healthcare providers, payers, pharma, and consumers. On 28 June, 2016, Jane will join Accenture's Senior Managing Director Dr. Kaveh Safavi to discuss the company's Healthcare Technology Vision 2016 via live webcast from Accenture's Chicago headquarters. Vericred, Inc., launched a transparency tool for prescription drugs to help people more effectively manage their pharmaceutical benefit plans. Jane is quoted in the press release, saying, "With patients bearing more out-of-pocket costs for prescription drugs, the new personal health economics are compelling patients to become informed health consumers. These consumers need transparent, easy-to-use, helpful information on the price of prescription drugs and therapeutic alternatives." 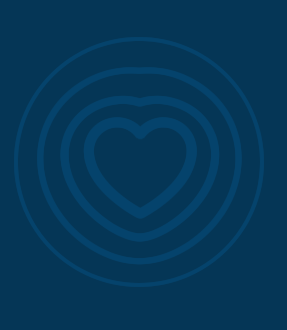 Read my column about the Nokia + Withings merger and what it means for the Internet of Things era in health/care, in The Huffington Post, published May 2, 2016. Read Jane's take on pocket issues driving patients as health care becomes more like retail in the April 2016 issue of Trustee, a monthly publication of the American Hospital Association. Read the new report on the burden of global mental health from the World Bank and WHO, quoting Jane's report "The Online Couch" published by the California HealthCare Foundation. JSK quoted in this article by Gabriel Perna - telemedicine can help patients save money compared with the cost of an ER visit. The Selfcare Summit is convening stakeholders in health, beauty and wellness, and Jane will be there to cover the ecosystem for consumers' health engagement in our communities. Following an amazing 2018 Liberation, Jane will return to emcee, trend-weave and speak at the annual client meeting of Medecision.